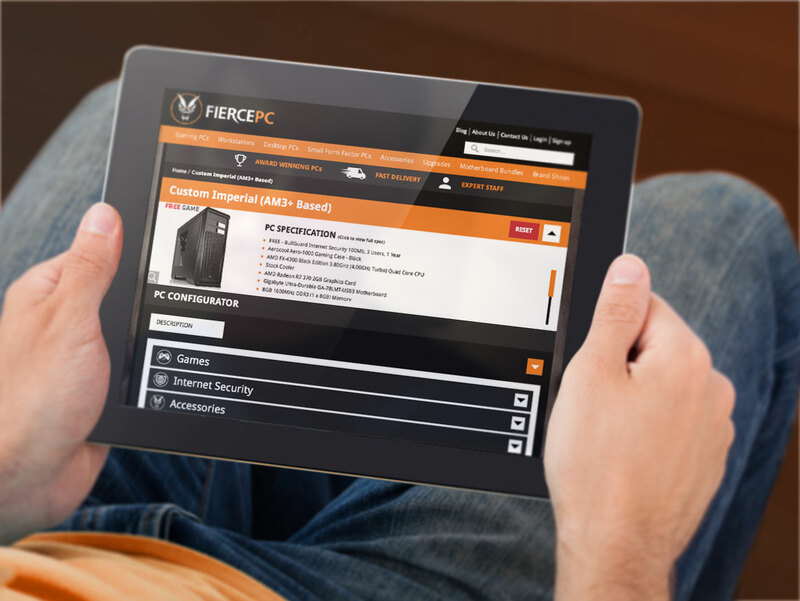 USdigital client Fierce PC are one of the UK’s leading names in custom PC builds for the rapidly growing gaming market. We recently launched a brand new web framework for the client which includes a host of bespoke functionality including an interactive PC configurator that allows customers to create completely bespoke products based on their preferences and requirements. Customers have the freedom to specify a huge range of options from processors, graphics cards and hard drives right through to cable colour and an appropriate cooling method – behind the scenes sits a clever matrix that prevents the customer from making incompatible or potentially unstable component selections for their new gaming rig. The client runs frequent competitions and PC giveaway incentives – follow @FiercePCltd for further detail.